I would have to say there could be worse things to place your money on, than property. And where to buy in New Zealand? Hmmm….seems a bit “deja vue” around about now? Anyone spot a trend here? This entry was posted in Buyers, General, Nelson, New Zealand, retirement, Sellers, Stats / Sales Data, The Market and tagged Buyers, buying, climate, coastline, cycling, ex-pats, immigration, market, Nelson, NZ, recreation, retire, Sellers, selling, stats on March 12, 2014 by David Leggott. The Real Estate Institute of NZ said in its headline “Mixed Price Data and Softer Volumes in December Market” when referring to sales data from December 2013 NZ House sales. Here is their summary points for the last calendar month of 2013. Sales volume compared to November rose 2.3% with an 11% increase in Nelson, but falls across the rest of the region. …The median price trend is now steady, although the volume trend continues to ease. The days to sell trend continues to improve more strongly. The overall trend for the region is now steady. This entry was posted in Buyers, General, Nelson, New Zealand, Sellers, Stats / Sales Data, The Market and tagged Buyers, buying, market, Nelson, NZ, Sellers, selling, stats on January 26, 2014 by David Leggott. The latest New Zealand wide market rent statistics covering the period for 1 July 2013 – 31 December 2013 have been released. The first lot of figures above are for the Stoke / Nayland and general Tahunanui zones. Then there are the Tahuna & Port Hills figures above, and lastly…. This lot above represents the general Nelson city area. 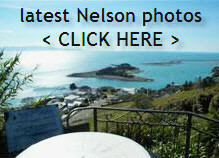 This entry was posted in Buyers, Nelson, New Zealand, rent, Sellers, Stats / Sales Data, The Market and tagged Buyers, buying, market, Nelson, NZ, renting, Sellers, selling, stats on January 8, 2014 by David Leggott. Pricing in general still appears to be on an upward slope. The median price across the region rose by $34,050 (+10.5%) compared to November 2012 with prices rising by 10% or more in Nelson and Richmond. Compared to October the median price fell by $5,950 (-1.6%) with prices falling in Motueka and Marlborough/Kaikoura, but risingin Richmond and Nelson City. Sales volume compared to October fell 6.4% with a more than 30% fall in Nelson. Compared to November 2012 sales volumes fell almost18%, with sales falling 18% in Nelson and by almost 30% in Marlborough/Kaikoura. Only Richmond saw an increase in sales compared toNovember 2012. The number of days to sell eased by six days compared to October, from 28 days in October to 34 days in November. Compared to November2012 the number of days to sell improved by two days. Over the past 10 years the average number of days to sell in November across theregion has been 39 days. This entry was posted in Buyers, General, Nelson, New Zealand, Sellers, Stats / Sales Data, The Market and tagged Buyers, buying, market, Nelson, NZ, Sellers, selling, stats on December 12, 2013 by David Leggott.